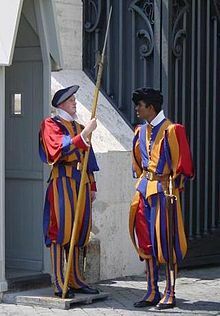 ^ Solemn oath of the Vatican Swiss guards. 6 May 2014 –通过YouTube. 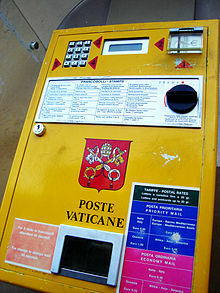 ^ Internet portal of Vatican City State. 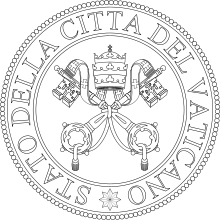 Vatican City State. [9 July 2011]. （原始内容存档于24 May 2011）. ^ 3.0 3.1 Holy See (Vatican City). CIA—The World Factbook. ^ Gerhard Robbers (2006) Encyclopedia of World Constitutions. Infobase Publishing. ISBN 978-0-81606078-8. p. 1009. 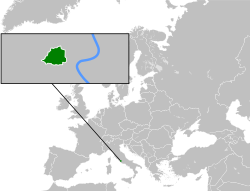 ^ Governorate. Vaticanstate.va. [12 August 2013]. ^ 7.0 7.1 CIA Factbook. Central Intelligence Agency (CIA). [2018-11-15]. ^ Agreements on monetary relations (Monaco, San Marino, the Vatican and Andorra ). 歐洲聯盟. [2015年11月16日] （英语）. ^ 教廷不再自動採納意大利法律. BBC中文網. 2009-01-01 [2009-03-23]. ^ 10.0 10.1 10.2 Bilateral Relations of the Holy See. [2015年11月15日] （英语）. ^ Il personale del Corpo garantisce la sicurezza e l'ordine pubblico anche nelle zone extraterritoriali di proprietà della Santa Sede. (The Corps also guarantees the security and the public order within the extraterritorial properties of the Holy See). In: Corpo della Gendarmeria. Stato della Città del Vaticano. [2013年1月15日]. 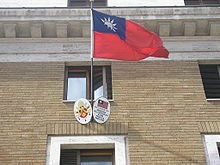 （原始内容存档于2012年12月25日） （意大利语）. ^ Gendarme Corps. Office of the President of Vatican City State. 2007 [2007年10月15日]. （原始内容存档于2007年10月23日） （英语）. ^ Administrations and Central Offices. Office of the President of Vatican City State. 2007 [2007年10月15日]. （原始内容存档于2007年10月23日） （英语）.